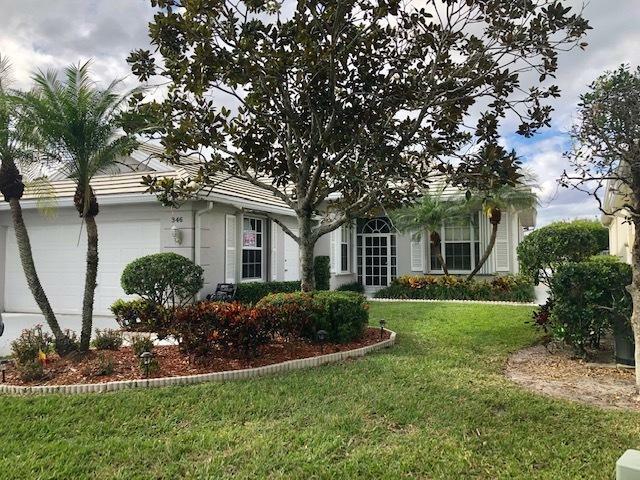 Three bedrooms two and a half baths expanded Divosta built Carmel in The Lakes of St Lucie West. 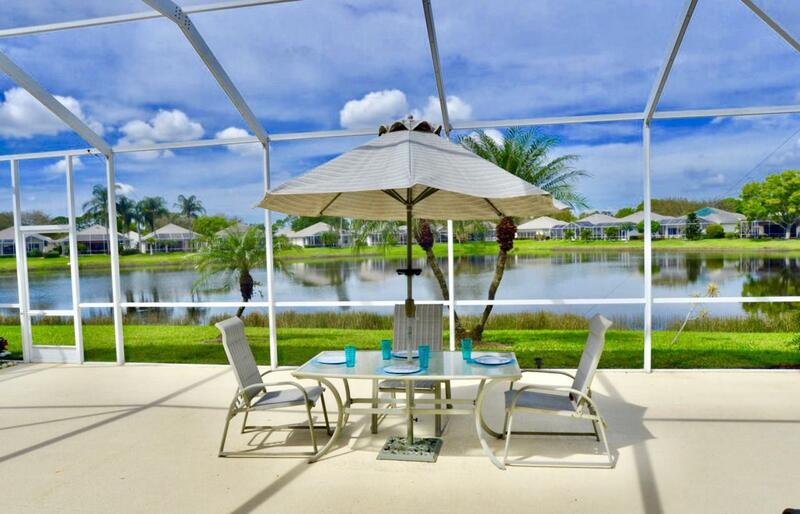 Spectacular lake views with large screened lanai. Widest lake lot in the complex. House has spacious open architecture with good sized bedrooms. Kitchen has been updated with granite counter, travertine backsplash, and cabinet hardware. A wine cooler finishes out the other appliances. Low HOA dues of $200 a month. Community amenities include 2 pools, tennis courts and a pickleball court. Just minutes to Mets stadium, and easy to freeway, shopping and dining. $200 capitalization fee due at closing. Listing provided courtesy of Help U Sell Treasure Coast.